Forney 48500 Flux Coated Bronze Brazing Rod, 1/8-Inch-by-18-Inch, 10-Rods by Forney at Verso Laquila. MPN: 48500. Hurry! Limited time offer. Offer valid only while supplies last. Fluxed Low Fuming Bronze Brazing Rod is high quality low fuming bronze brazing rod with flux. Formulated for high tensile strength and ductility. 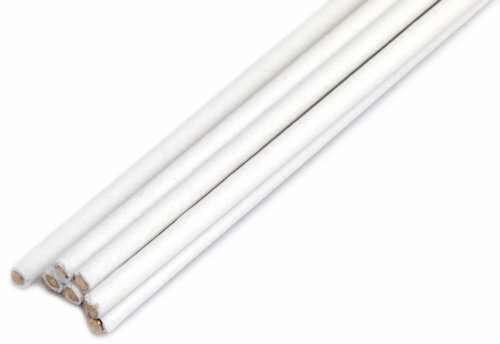 Fluxed Low Fuming Bronze Brazing Rod is high quality low fuming bronze brazing rod with flux. Formulated for high tensile strength and ductility. Smooth flowing. Excellent for most brazing uses. Flux coated for best cleaning action. Yellow color coded. Forney Industries is one of America's longest operating family-owned metal working product companies. Founded in 1932, Forney offers more than 5,000 products for the hardware, automotive, farm and ranch and do-it-yourself markets. If you've got metal working questions, we've got answers. We're committed to your success regardless of location size or needs. 1/8-Inch (3.18mm) by 18-Inch (45.72mm) rods. 10 rods per tube. Tensile Strength is 65,000 PSI. Melting Point: 1,598⁰ F (870⁰ C). Claims for warranty must be made within 90 days of the date of purchase. Proof of purchase required. This warranty does not cover any product that has been subject to misuse, neglect, negligence or accident, or that has been used in any way contrary to the purpose intended.